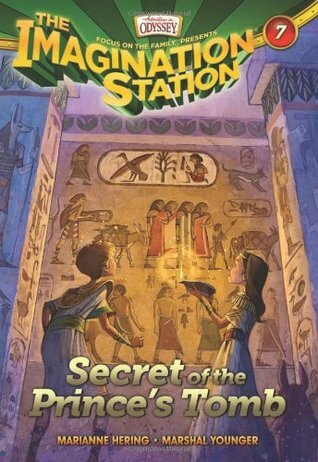 Egypt is holding a new adventure for Patrick and Beth in this 7th Imagination Station book! I really liked the point of view on this book. Usually all the stories are based upon things that happened before and after this time period but this books placed them between Joseph and Moses time. Very interesting to see how Egypt was after Joseph died, the Hebrews were free and taken care of. Now things are starting to get scary when the kids witness some people being beaten. This will start the time of when they become slaves and before Moses comes to save them and take them out of Egypt. The kids meet Pharaoh's son and Tabitha, a young Hebrew girl. They end up in a tomb but aren't sure whose and they are really surprised once they find out. This is a great story and very well written about this time period. *Check out Tyndale Rewards! This book is from Tyndale Publishing and they have great books that you can get for free! If you sign up following the link you will get an extra 25 points toward free items!